Having rodents such as mice or rats in your yard has the potential to bring disease and damage, not to mention the nuisance of pests of that nature. Rodents can also cause significant damage to trees and even contributing to their death. For these reasons, property owners and homeowners look for any method that can help to prevent and rid trees of rodents. When performed correctly, regular pruning of trees can, in fact, prevent rodents and help to keep them under control. Many rodents, specifically rats, will look to stay off the ground whenever possible. Rats seek out mature tree canopies and landscaping and can easily climb trees to get to it. They can even make their way into houses from tree branches that come close to your home. Routine tree trimming will help to keep branches from touching your home or anything else that you wouldn’t want rodents in. Be sure to trim branches so that they do not come in contact with branches of surrounding trees, your roof, even power lines or other wires. 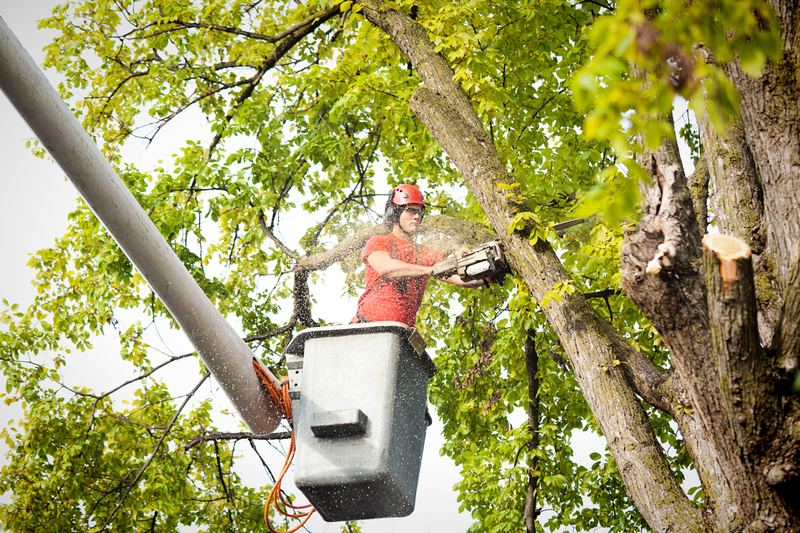 You will also want to make sure that branches are trimmed 3 feet from the ground. Proper pruning will keep tree canopies better maintained making it more difficult for rodents to make nests or go undetected. Branches that touch allow for rats and other rodents to run from tree to tree. If you are still planning your landscaping layout or if you are considering planting new trees, be sure to space them out in order to allow for sufficient space for branch growth. Mature trees or even young trees that have been planted too closely together could benefit from being uprooted and moved in order to keep branches from touching the other. In addition to tree trimming, you should also consider protecting the trunks of your trees with wire mesh or a sheet of metal in order to make it difficult for rodents to climb the trunk. Adding rat traps will also help to prevent rodents from climbing your trees. Rodents can pose a serious threat to the health of humans, pets, and even trees. By taking preventative measures you can help to minimize the presence of rats or other unwanted rodents in your trees and in your home. Contact Nevada Tree Service today for professional tree trimming, tree care and tree transplanting services that will better the life of your trees while working to keep rodents out of them.